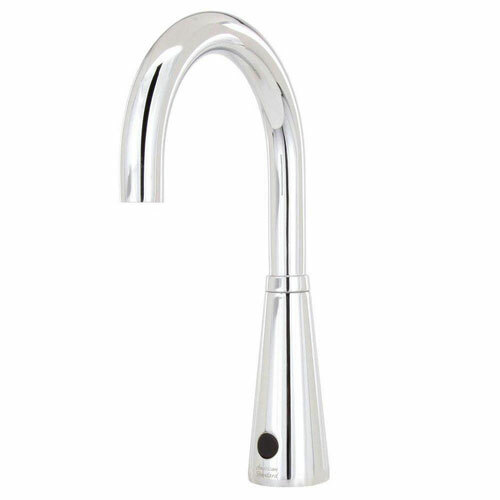 Enjoy the convenience of a hands-free faucet with the American Standard Selectronic DC-Powered Touchless Lavatory Faucet in Chrome. The fixture sports a 6-inch rigid, swing gooseneck spout with single post mounting and a vandal-resistant feature to prevent unwanted use. The sensor and electronic controls are fully enclosed and water resistant for added durability.